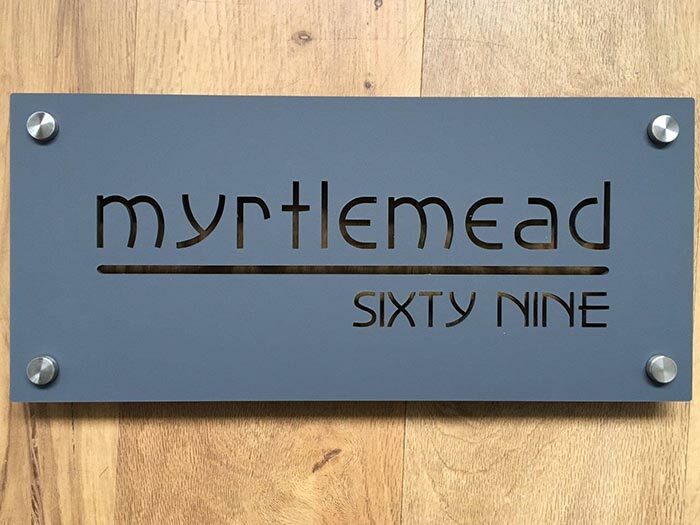 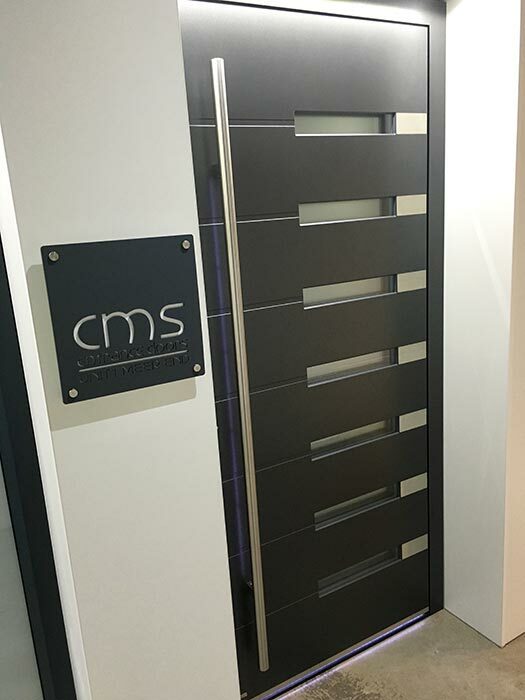 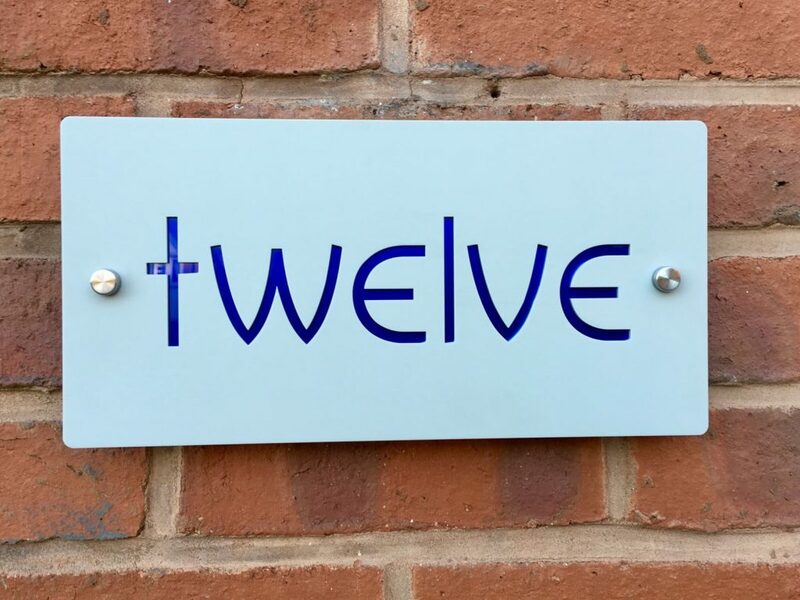 CMS offer a large range of Acrylic laser cut, dual layered signs in set shapes & sizes for customers to choose from - however each sign is individually designed and hand made to balance with your house and front door which can include numbers as well as house names. 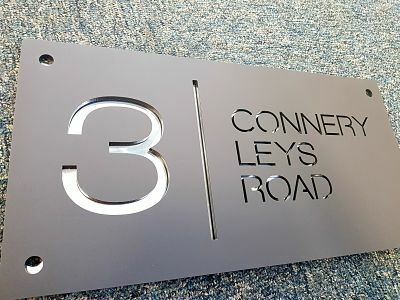 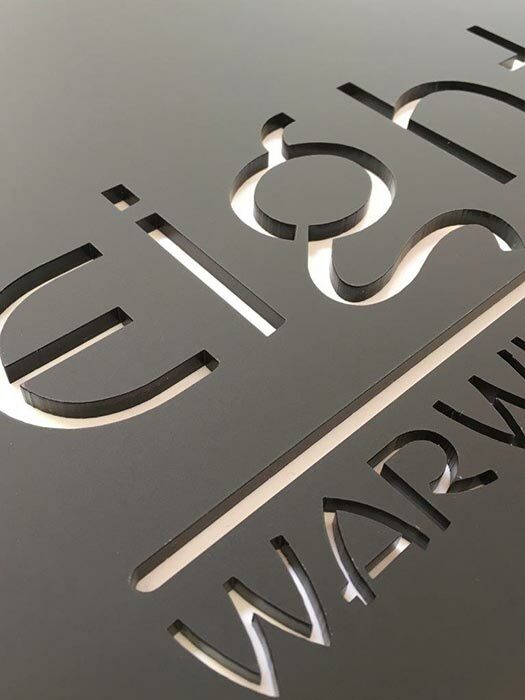 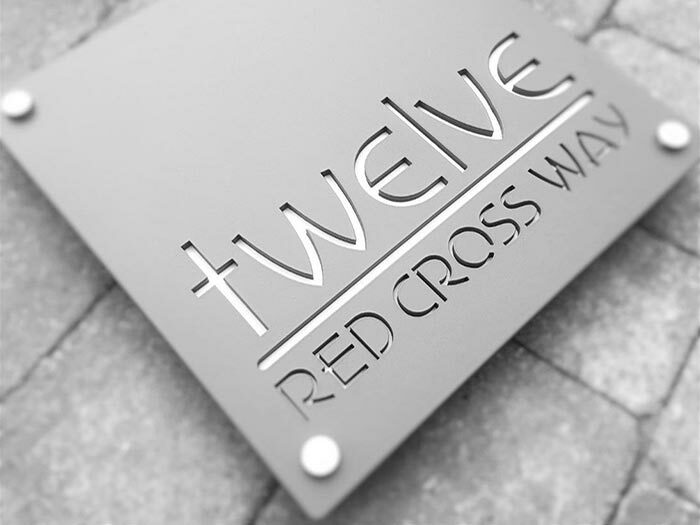 With a vast array of colours, styles & fonts – we can also cut single numbers/letters if you prefer instead of a plaque. 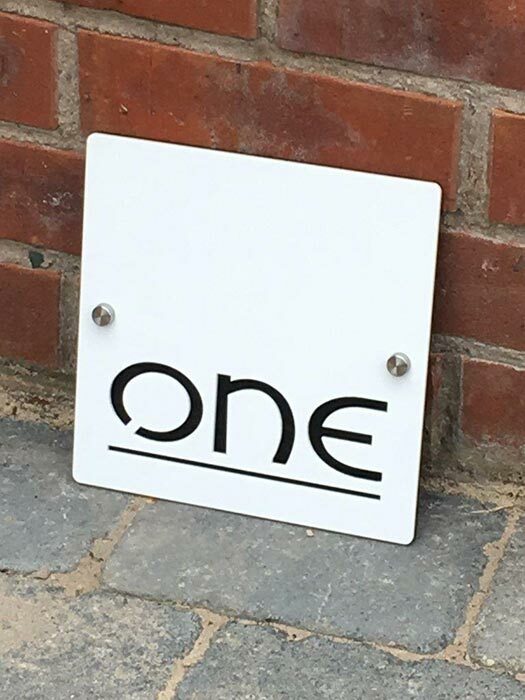 The design is completely unique to you and no two signs are ever alike. 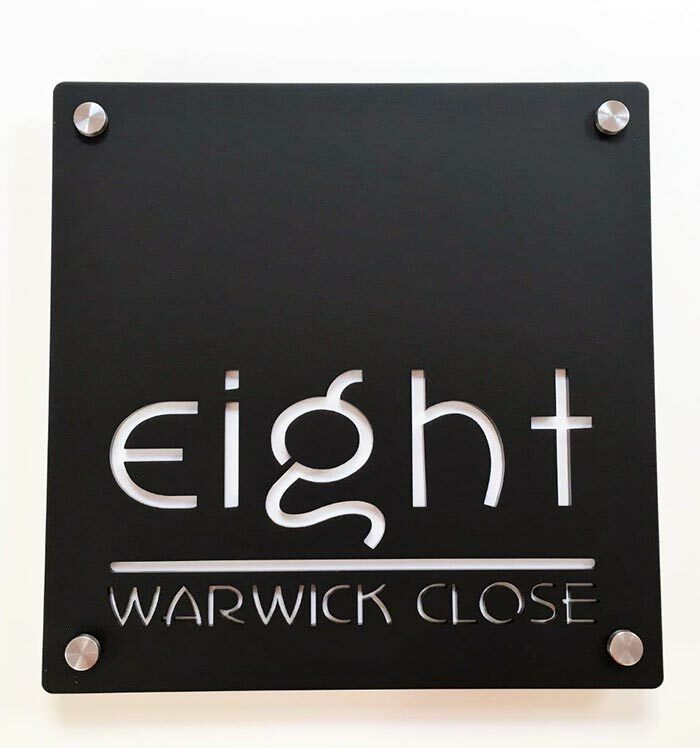 All products come complete with fixings and screws plus full fitting instructions which make them quick and easy to fit at home. 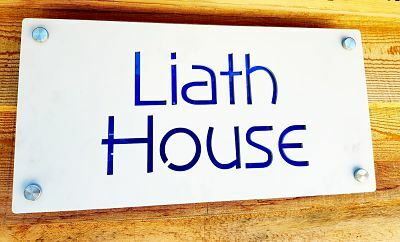 Please get in touch if you do not find what you are looking for or have any questions in relation to price, designs etc. 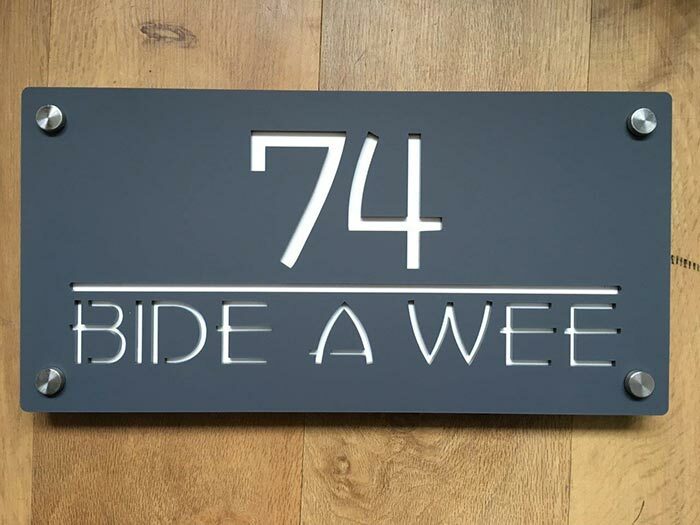 Turn around - roughly 1-2 weeks from point of order. 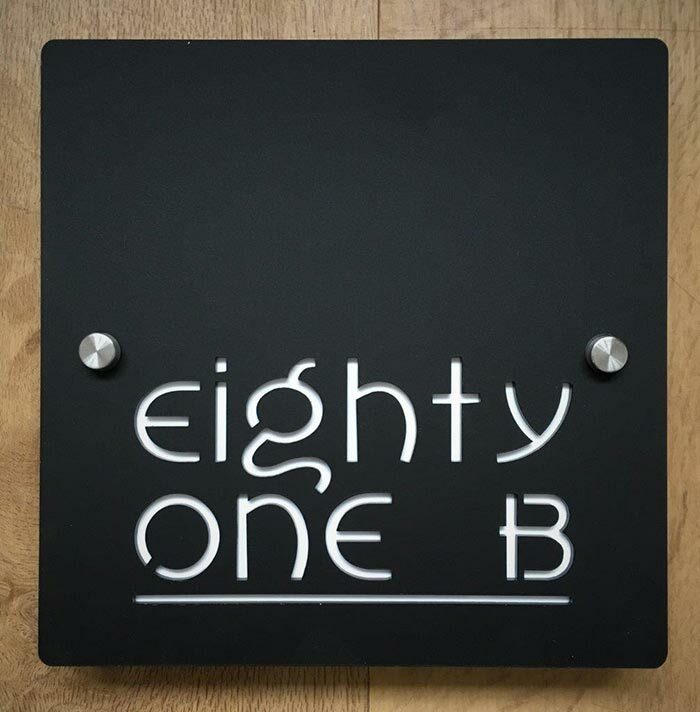 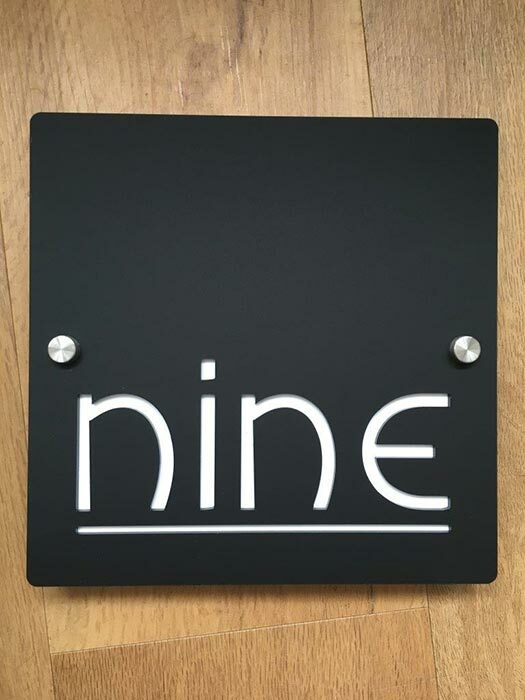 We offer a huge range of door numbers from simple cut outs to back lit light boxes, most are available in different fonts and colours and finishes so please get in touch to discuss your requirements as it's impossible to show everything.